We purchased because adapter of WHR-HP-G was lost. The genuine is 5V2.3A, but diversion is possible. In particular, it can be used without any problems. UNIFIVE is excellent as a third-party maker of adapters, abundant in specifications by type, inexpensive and extremely helpful. This review is about item#58392957. I used it for NEC Aterm WG 1200 HP2. Accessory Insert the adapter into 200 VAC that made it think AC 100 V outlet! It is an alternative because I blew away. It is used normally without problems. This review is about item#58392993. This review is about item#58393133. It was planned to change the voltage and use it for power supply for electronic equipment. Unfortunately I could not use ampere due to shortage, prepared another thing and finished things. This review is about item#58392941. It is small and ordinary good. I am glad that you can choose various specifications. Wireless LAN router BUFFALO WHR-G301N POWER (green), DIAG (red) high speed lighting, does not work after turning on the power. Examination by the net is not the main body, the possibility of AC adapter breakdown is large. Purchased this product at 12V / 1A by being an EIAJ-4 AC adapter. It worked well. Used as a power source for the monitoring recorder of the entrance, the drive recorder became excessive when it wastefully scrapped. This review is about item#58393002. 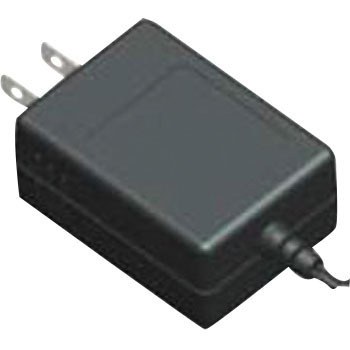 The Panasonic JT - R200 CR - 10 non - contact IC card reader / writer AC adapter JT - 8000AD - 20 used in the store failed, 6 V 2 A connector shape EIAJ 2 is used as an alternative. At the card contracting company, it was estimate of more than 60,000 yen by exchanging a set of terminals, but for a while this seems to outperform. This review is about item#58392975. I can use it without any problem. This review is about item#58393176.